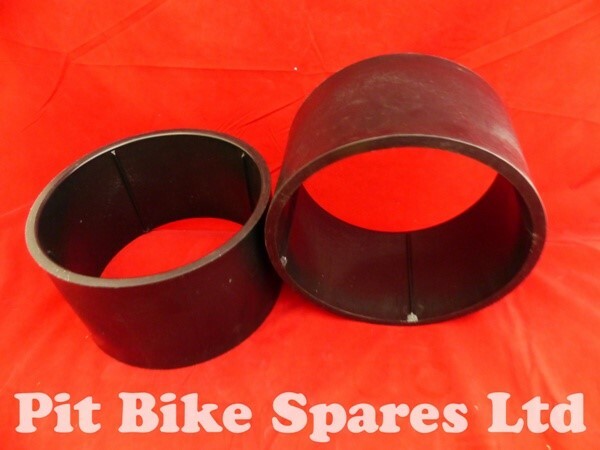 This is a pair of sleeves for drift trikes and will fit over front go kart tyres size 4.5 x 10 x 5.. 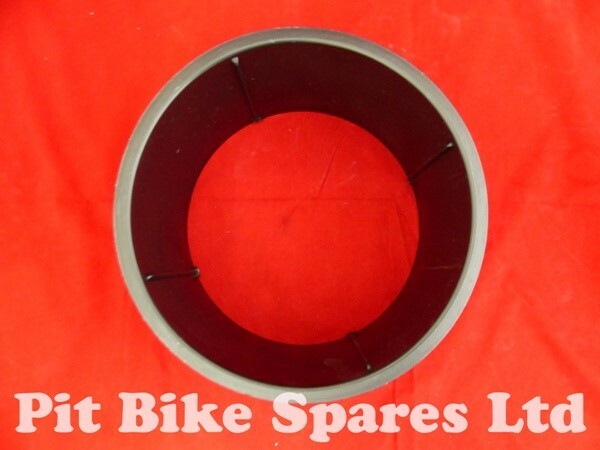 The sleeves are 260mm outer diameter, 238mm inner diameter, the wall thickness is 11mm thick. Each sleeve is 145mm wide. The tyre needs to be fully deflated with the valve core removed as the tyre needs to be squeezed to fit them. Its best not to run the tyre pressure over 15 psi and even less as the sleeve wears thinner to prevent them from cracking. There is no warranty given on the sleeves due to the nature of use. ORDER BEFORE 2PM TUESDAY TO FRIDAY AND BEFORE 12 MIDDAY ON MONDAYS OR AFTER BANK HOLIDAYS FOR SAME DAY DISPATCH. WE ONLY DISPATCH ORDERS MONDAY TO FRIDAY. YOU CAN CALL OUR CUSTOMER SERVICES TEAM ON 01789 766777 MONDAY TO FRIDAY 9am to 5pm.